According to Research and Markets analysts, the sports analytics industry is expected to reach 3.97 billion dollars over the next five years. However, controversy is involved: athletes feel concerned about who has the right to their personal data, but many experts have speculated that this data could help determine player salaries and draft. On May 23, VLAB will explore the sports analytics industry by hosting an event called Sports Analytics: Changing the Game at SRI in Menlo Park, CA. 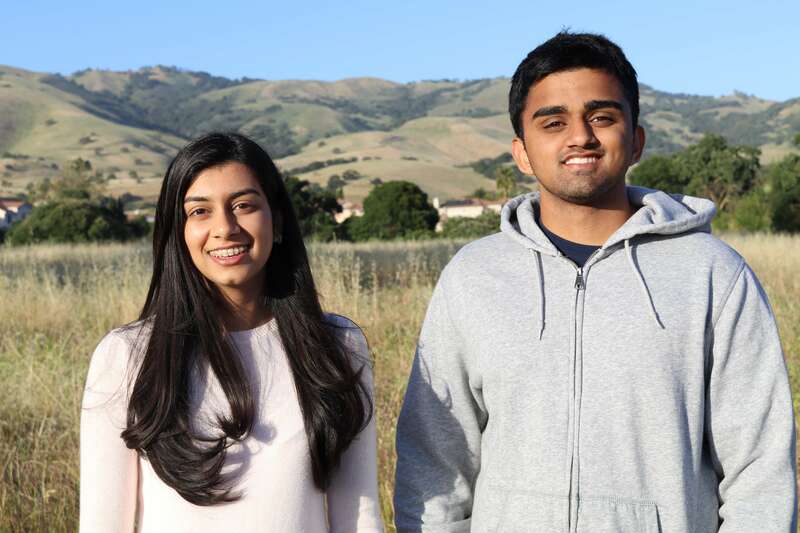 VLAB Blogger Michelle McIntyre recently interviewed the young co-chairs of the event Santosh Tatipamula, 17, junior at Valley Christian High School and Esha Prasad, 16, junior at BASIS Independent Silicon Valley, on this topic. Q: Santosh, Esha, what triggered your interest in the topic of sports analytics? Santosh: I have been playing basketball since 3rd grade and have always had an interest in math and science, and Sports analytics blends these two topics together. Esha: I am currently taking a post-AP Computer Science course where I practice various data analysis using the R programming language. This peeked in my interest in seeing the application of data analytics in the real world, and sports is one of the areas where I see a surge in the use of analytics. Q: How did you, a high school student, learn about VLAB in the first place? Santosh: My dad was a participant in one of the VLAB panels a couple of months ago, which introduced to the VLAB. With the help and encouragement of a lot of great volunteers, Esha and I decided to co-chair this panel. The VLAB has been very accommodative of us being high schoolers. Esha: I first learned about VLAB from my dad. The various innovative topics of the past few VLAB events caught my attention, so I signed up to volunteer at VLAB and then gradually expanded my role to being an event photographer. Q: Which sports analytics technology intrigues you the most and why? Santosh: The most intriguing technologies to me are the VR technologies as well as medical analytics. VR would suit the sports entertainment platform greatly, preventing injuries is a problem teams have been trying to solve ever since the beginning of organized sports. I believe both areas will grow greatly in the future. Esha: VR technology can create a unique opportunity for athletes to practice anywhere and anytime against their actual opponents. Q: As you two balance VLAB with high school, do you have any time management tips for people reading this story? Santosh: Build a great team of volunteers and take on as much as you can handle. We were very fortunate to have such an energetic group of volunteers working to make this panel happen. Our team worked very hard to put this event together in about a month. Esha: One thing that has helped me manage my time is having a to-do list, and making a schedule for myself. Also, the VLAB team has been amazing, and without their guidance and support this event would not have been possible. Q: What degrees are you interested in pursuing? Santosh: I would like to major in economics or mathematics, as well as sports management. Esha: I am interested in pursuing a degree in computer science. Please visit https://vlab.org/events/sports-analytics-changing-the-game/ to buy a ticket to Sports Analytics: Changing the Game and check out the upcoming Founders Series event coming up on June 8, in Palo Alto.